In a previous article (To hinge or not to hinge), we discussed the merits of stamp hinges versus stamp mounts. 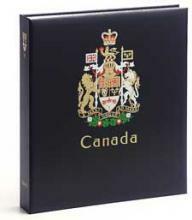 All collectors know that stamp hinges can be an inexpensive way of mounting used stamps on an album page. But never, never use them for mint never hinged stamps! 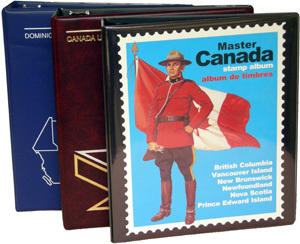 One of the most attractive ways to store a stamp collection is in a stamp album, such as the Tradition Canada album at left. There are many on the market however. How can you know which one is the best value for your money? In this article we will attempt to help you make a good choice according to your needs. Obviously price is a major factor when deciding what to buy. As in all purchases however, you do have to think about what you are getting for your money in the long run.